١ Refugees and migrants wait in queue to receive food distributed by a non-governmental organization at a refugee camp at the Greek-Macedonian border, near the northern Greek village of Idomeni. 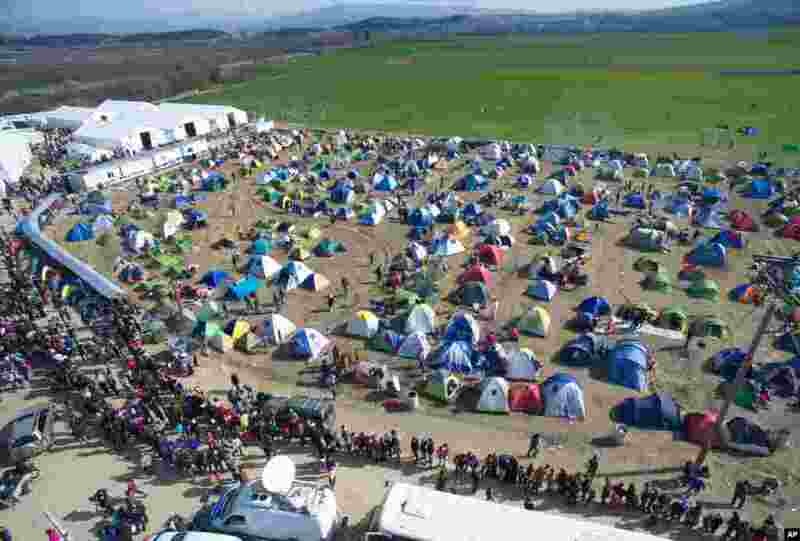 At least 10,000 men, women and children have camped for days at the Idomeni border crossing with Macedonia. 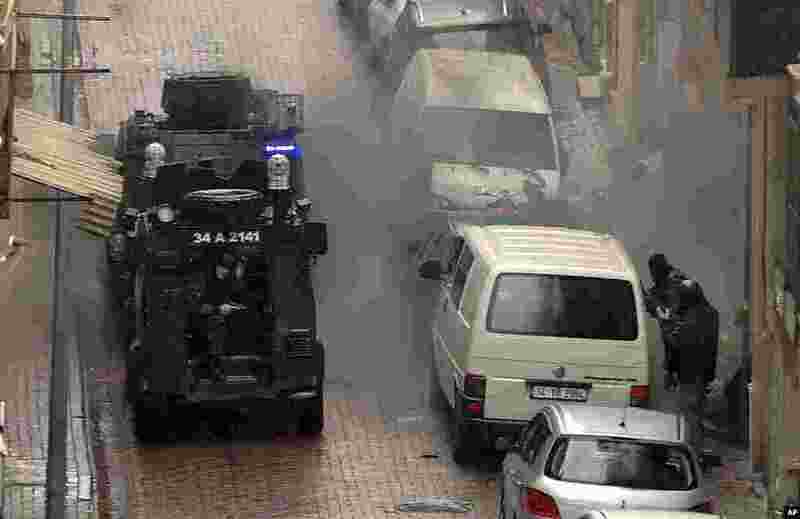 ٢ Security forces fire during an operation against two attackers, in Istanbul, Turkey. Police shot and killed two women who had hidden inside a building after attacking police with gunfire and a hand grenade, an official said. ٣ Dr. Jill Biden, wife of Vice President Joe Biden, right, greets Expedition 46 Commander Scott Kelly of NASA, left, after he landed at Ellington Field in Houston, Texas after his return to Earth. 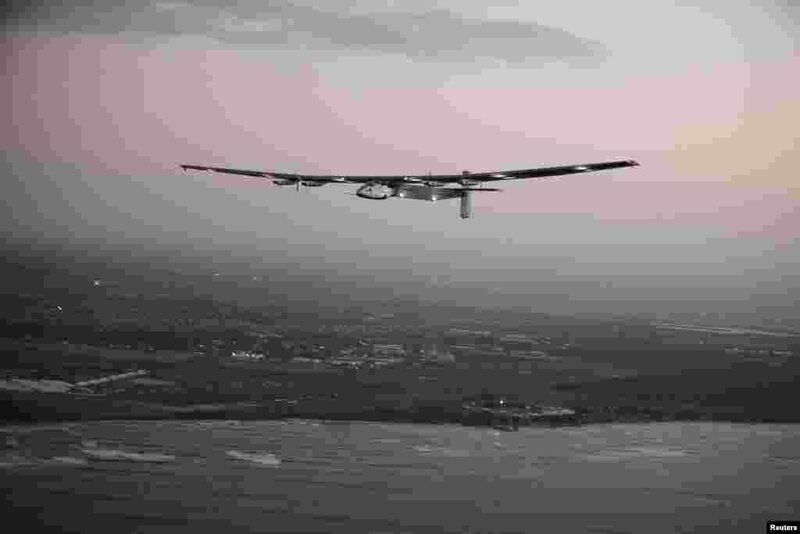 ٤ The Solar Impulse 2 airplane, flown by test pilot Markus Scherdel, flies off the coast of Oahu during a test flight from Kalaealoa Airfield in Kapolei, Hawaii.